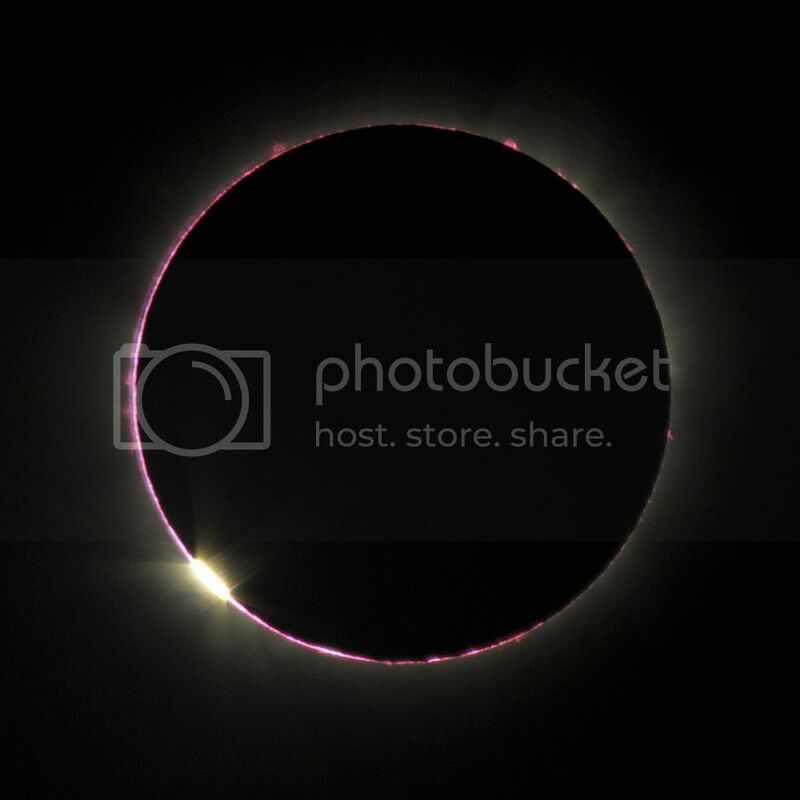 As a scientific point of view, I saw two clear diamonds in the ring, when the totality started. One diamond appeared in the usual position (in the center of the fading crescent) and the other was about 20 degrees to the left of the first one. It would be great if somebody could verify this? 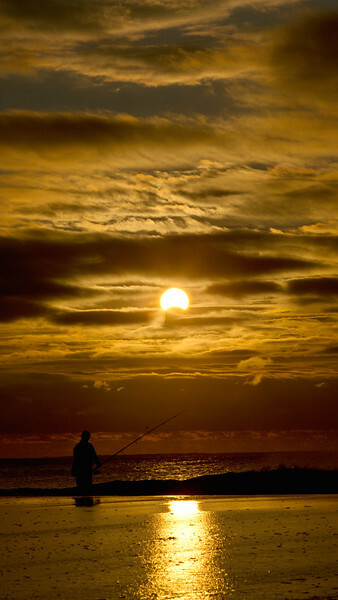 Taken at Jones Beach, Wantagh, NY. Cloud cover was present at the horizon and had to be extremely patient waiting for the sun to peek through the clouds. Visibility was intermittent at best. 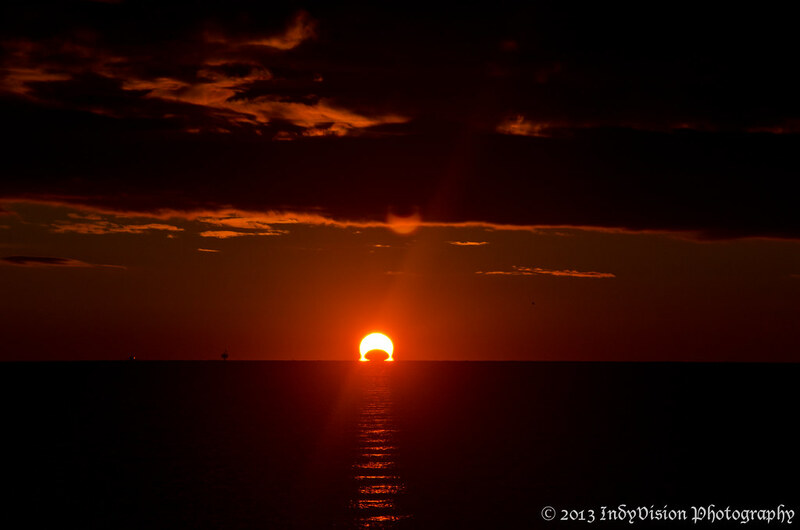 The November 3rd sunrise eclipse over the Chesapeake Bay, from Chesapeake Beach in Maryland. These are stills from a time-lapse sequence I shot of the eclipsed sunrise. A few pictures from my front porch in Pretoria, South Africa. Taken with Nikon 200-400 and teleconverter. We hit about 14% totality. The first picture is an HDR composite of three exposures; the rest are single shots. The second one has a bird flying through it -- I had no idea until downloading the images! Watch out, Henry. I think that may be a dragon! This year's total solar eclipse was both unique cause it was a Hybrid/Total one and difficult to go to since shadow would hit land very close to the equator in Africa. I choose to go to Gabon, because the duration there would be the biggest possible for an observing place on land with 62secs of totality. Weather prospects weren't so favorable, as this time of the year, the rain season starts for this area. The days before totality was mostly covered with clouds but on the Eclipse day, we had rain in the morning and then sky started to clear from the clouds. Ten minutes after the first contact, sky turned to crystal clear blue without a hint of cloud! The fact that Lunar disk was just big enough to cover the Sun, gave us a very interesting show of the Baileys Beads and some good detail on the Lunar limb in which mountains and valleys can be seen. In the images I send, I've made a composite of two exposures taken at exactly the second and third contact, that shows the chromosphere as a red ring followed by photosphere beads. 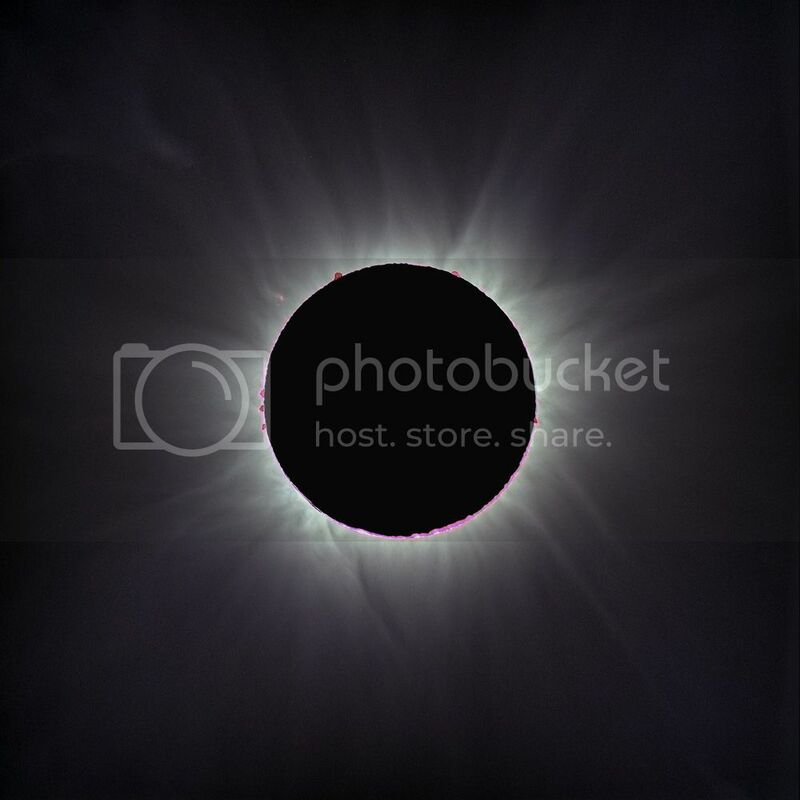 The totality images is one exposure at maximum eclipse that shows the view of the corona as we saw it with naked eye. Since the Sun's activity is almost on maximum now, corona has many interesting features and is quite dynamic. I also made a flash spectrum that saws the elements found on the chromosphere. The images were made with a Takahashi FSQ106N telescope and a Nikon D7100 DSLR camera on an equatorial mount. This version has been color corrected, compared to the version I posted earlier. This image was taken just before second contact. Composite with variable time between images taken from the south east shore of Bermuda. These spectra were captured during the eFlight from Bermuda. A 100 line/mm grating in front of a 55mm lens on a DSLR captured a moderately wide field of view making it possible to point the camera without using the viewfinder allowing me to view the eclipse directly. This first image is of the full frame view. The horizon is visible in the lower part of the image. This image is a close up of the image above and includes an analysis by Jim Ferriera using RSpec software. 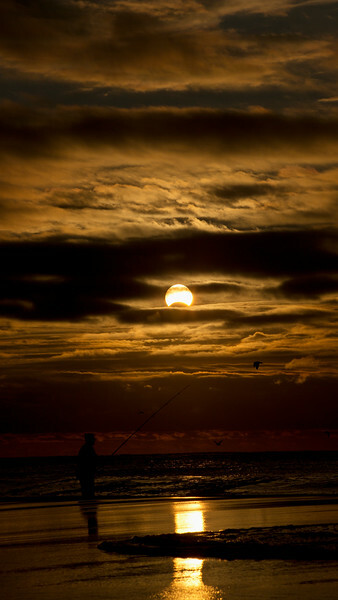 This image shows a 6 second sequence around maximum eclipse.